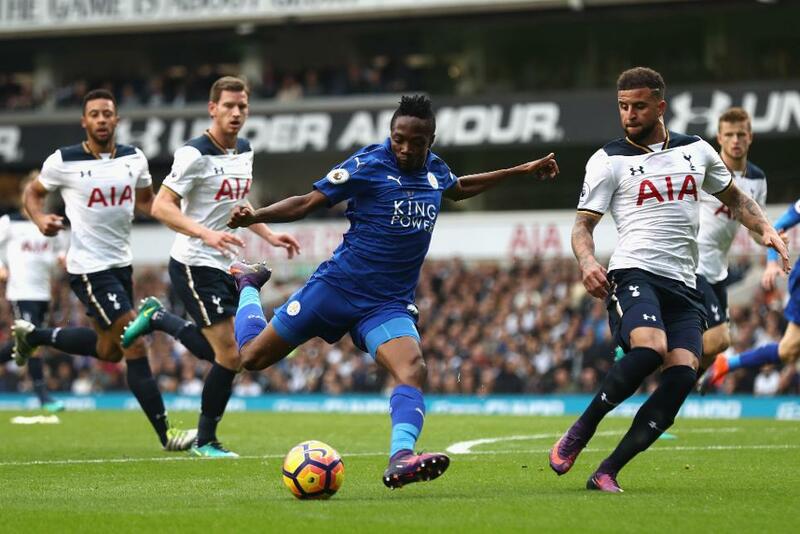 Tottenham Hotspur remain unbeaten in the Premier League this season but had to share a 1-1 draw with champions Leicester City at White Hart Lane. Dele Alli forced Kasper Schmeichel into a smart reaction save as Mauricio Pochettino’s side pushed for an opener. That pressure told just before half-time when Vincent Janssen was brought down by Robert Huth in the box and the Dutchman converted the spot-kick for his first Premier League goal. Moments after the break Jamie Vardy surged down the right and his cut back was rifled in my Ahmed Musa for the Foxes' equaliser. Jan Vertonghen clattered the crossbar with a late header but Leicester gained their first away point of the campaign in north London.